As a trained dentist in Mansfield and also a trained specialist, Dr. Kiser and his staff possess broad and deep skill sets in multiple dental disciplines. This means you can have simple family dental care to very complex dentistry or surgery offered without having to be referred to multiple dental offices. General family dentistry needs, cosmetic dental needs (fillings/crowns/veneers), hygiene care, dental implant reconstructive needs, dentures/partials, implant supported dentures, hybrids or teeth in one day implants, and specialty based procedures (such as root canal treatments or surgeries) can be done with IV sedation. We have Dental Hygienists on staff to help with prevention, cleanings, fluoride, sealants and bleaching, and who deal with methods for treating gingivitis as well as periodontal disease issues. 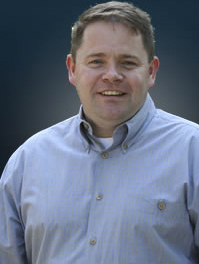 Dr. Kiser has served over 10,000 patients in his career and can likely help you with utmost professionalism. If you are afraid of the dentist, we encourage you to visit us. Dr. Kiser offers IV sedation dentistry — sometimes referred to as sleep dentistry — and oral conscious sedation. Dentistry can be done comfortably, as we realize so many people are afraid of the dentist or their procedures. It doesn’t matter if you need a short procedure with simple dental needs, intermediate needs requiring several hours of various simple to advanced procedures, or perhaps you need to sit down with us for 5, 6, or 7 hours and have complex dentistry/surgery performed (as much as possible, if not all of it, in one appointment). When you are looking for one a stop dentist in Mansfield, OH. Dr Kiser and his team have it all covered! Our website has plenty of dental and surgical photos to view, videos of procedures, video testimonials and items to see and read. Feel free to e-mail me directly or contact the front desk with any questions you may have. We are located at 1221 S. Trimble Road, Building A in Mansfield, Ohio, near the corner of S. Trimble Road and Sunset Blvd. Mon-Fri 8 am - 5:00 pm and other arrangements otherwise. My name is Dr. Russell Kiser II and I am a lifelong Ohio resident. I went to The Ohio State University for undergraduate and dental school to become a trained dentist and specialist. I was born in Mansfield and returned to offer people optimal oral/dental health. One thing that gives me the possibility of saving my patients a lot of time or frustrations is that I am cross-trained in specialties, which includes Endodontics, a specialist of root canal treatment and surgery. This allows me to be quite prepared for many emergencies, dental pain, and saving your teeth. Additionally, I am a board certified dental implant specialist. Thus, if we cannot save your teeth with root canal therapy, or you need tooth replacements, dental implants are another area of high expertise. Implant placement, bone and soft tissue grafting around or for implants, using implants to support dentures, or a full jaw of teeth of implants are able to be offered at an expert level of care. As a result, you are welcome to come here for your general dentistry needs or specialty based care by a credentialed specialist. Having this broad spectrum of dental expertise, at your service within the same facility, will allow us to help nearly every member of your family. Also, the staff has a wide range of dental expertise. I have been studying dentistry since 1995, while treating over 12,000 people in that span, and I believe that this is a field where you have to constantly be learning to be well trained to help you. Dental science and technology is changing – and we keep pace…that is why I can proudly offer an option like All-on-Four Dental Implants or Teeth in a Day Implants. When it comes to patient care, I make this a top priority. Dental emergencies or care can make some people anxious, and I know that waiting can be difficult. We make efforts to see emergencies the same day when possible. Thank you for reading about me. If you have any questions or concerns, feel free to contact me or my staff for questions and scheduling. I look forward to caring for you or your family with your dental needs.A curriculum vitae is enclosed to serve as a record and partial biography of my educational pursuits and training credentials. I look forward to meeting you. 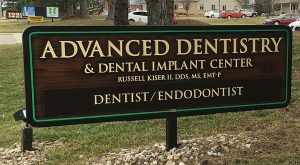 GENERAL DENTISTRY, DENTAL IMPLANTS, AND ADVANCED ENDODONTICS IN MANSFIELD, OHIO SERVING THE AREAS OF MANSFIELD, LEXINGTON, CRESTLINE, BELLVILLE, SHELBY, ASHLAND, ONTARIO, GALION AND SURROUNDING AREAS.